We believe that versatility, excellence and creativity are what make a great athlete. These qualities are what we maintain by providing a vast selection of top quality and custom designed sportswear for a wide range of sports. Get in touch today for a free quote on any of our high quality products. Originally a screen printing company, Sublimation House has increased both its quality and output over the years – thanks to technological innovations in sublimation printing. Several digital printers and calendar presses have also been added to the company’s assets. There is no big or small order. Clients can rest assured that orders from Sublimation House are of the highest quality and created on time. Created in 1991 in Parow East, Cape Town, Sublimation House has persevered for more than two decades to become the top leading printing corporation in the Southern Hemisphere, a noteworthy accolade that attests to the level of commitment that Sublimation House has to the athletes it supports. 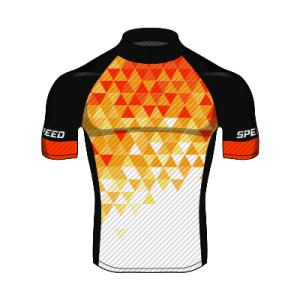 Supplying to retail, corporate and international markets, Sublimation House supports athletes through custom designed sportswear in a number of sports such as rugby, hockey, ice hockey, running, cycling, netball and soccer. In addition to sports, we offer our top-notch printing and design services to printed products such as banners, flags, estate agent boards, caps, and even school utilities. Established in 1991 as a screen printing company, Sublimation House has set the global standard in printing and design in unique and high quality sportswear and other printed products in South Africa.